Pope Francis has made a controversial Spanish missionary a saint in an elaborate ceremony that inspired mass devotion as well as protests branding the new saint a persecutor of Native Americans. 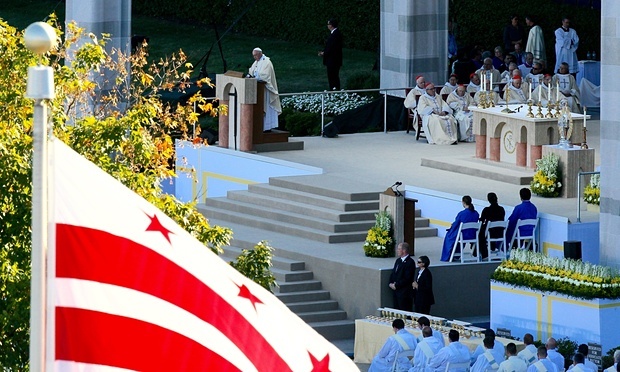 The Pope conducted the canonisation in front of 25,000 people in the Basilica of the National Shrine of the Immaculate Conception in Washington. Serra oversaw the whipping, beating, flogging and extermination of Native Americans in what is now California.